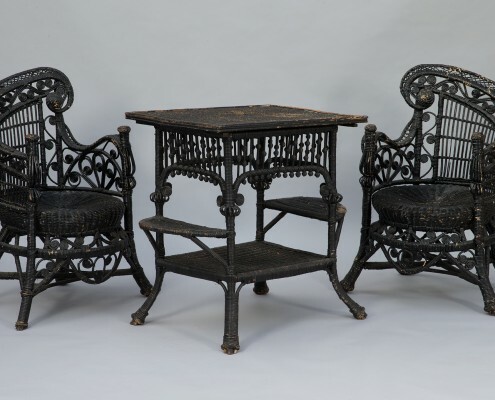 This exceptional black rattan set was made in the United States in the workshops of Heywood Brothers & Wakefield Company at the end of the 19th century. Between Orientalism and Art Nouveau, its curves testify to the exuberance achieved by American rattan trees during this period. 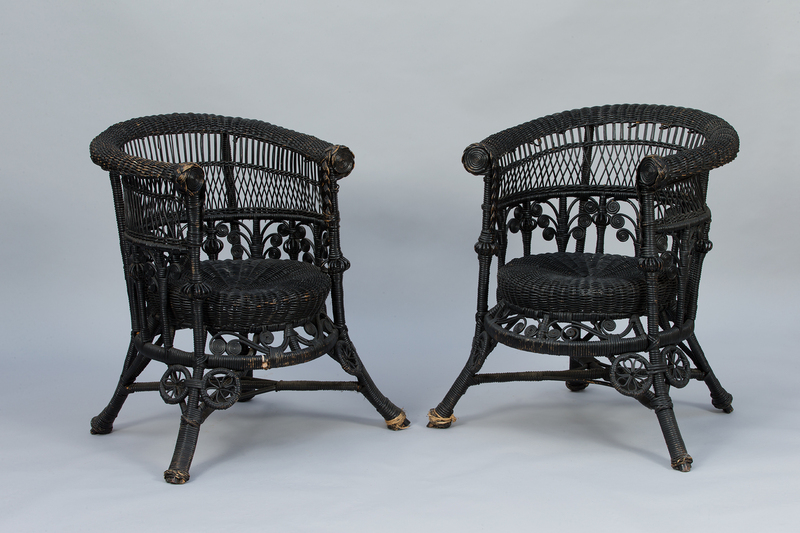 This black rattan set is a living example of specific taste; taste for a material, rattan, and for a way of life. In a conservatory or living room, this furniture takes on its full meaning and all its decorative power. 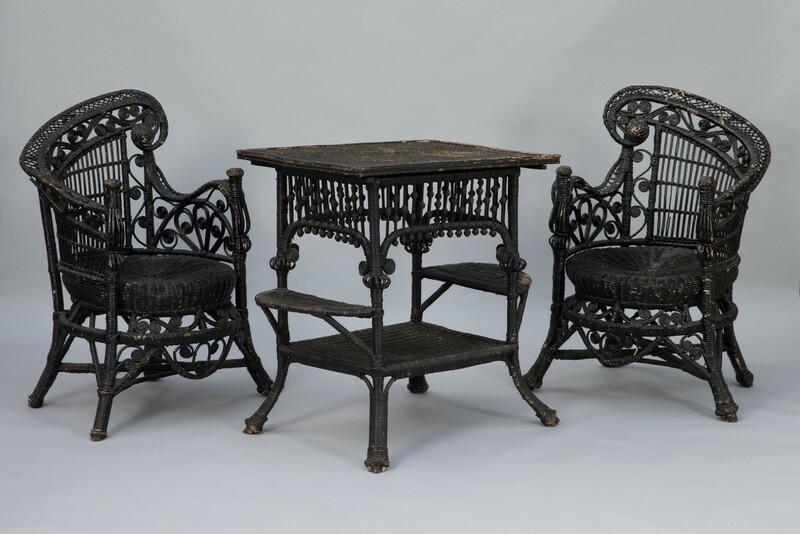 Eager to meet the demand, Heywood Brothers & Wakefield Company began in the 1890s to create sets whose style constituted the unity: chair, table, chaise longue, armchairs. 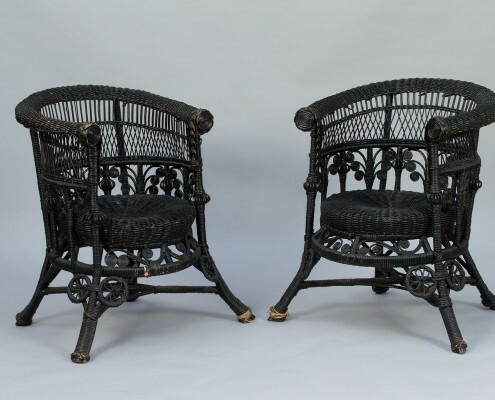 What seems obvious to us today was not at all obvious at the beginning of the 20th century: most rattan furniture had until then been used to decorate an already furnished room, to add a decorative element. 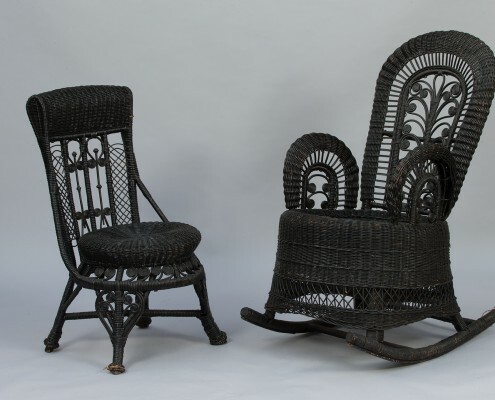 In the 1870s, Levi Heywood developed a new method to bend rattan on a scale never before experienced. He thus went beyond the techniques developed by the Thonet factory. 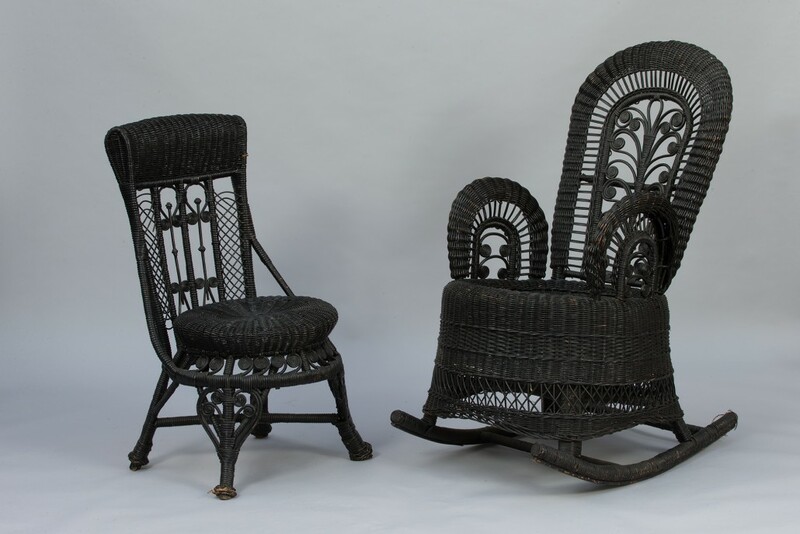 This method encouraged rattan furniture manufacturers to create new shapes. In addition, the use of reeds, which can bend to any fantasy, has also allowed a magnificent formal renewal, and these new shapes have also led to the appearance of new functions, such as these chairs, which allow a sitting and lying position. The set is composed of two asymetrical armchairs with one table,two basket-shaped armchairs, one chair and one rocking chair. The set can be divided.